In what could be argued as a death knell for DISH’s proposed buyout of Clearwire, Sprint today sent a letter to Clearwire’s Board outlining several items which, in Sprint’s view, make the proposal non-actionable or a violation of either Delaware law (where the company is incorporated). On top of that, Sprint noted that it would not vote in favor of DISH’s proposal or waive any of its rights as a shareholder. That more or less makes it official, since Sprint owns the majority of Clearwire shares, DISH’s buyout proposal is dead in the water. We saw this coming and anyone who has been paying attention to the drama between Sprint, Clearwire and DISH should not be surprised. Sprint outlined conditions set by DISH’s proposal required Sprint’s consent, something the carrier was not inclined to provide to begin with. However, the letter, signed by Sprint CEO Dan Hesse, also delves into what Sprint sees as violations of Clearwire’s certificate of incorporation, existing Equityholder’s Agreement (EHA) or Delaware law. For those that do not know, Clearwire as we see it today exists in large part due to 2.5GHz spectrum that was licensed to Sprint which the carrier then merged with Clearwire in 2008. That constituted an investment of several billion dollars at the time. The result is how Sprint became the largest shareholder/owner in the company and today remains Clearwire’s only meal-ticket. DISH’s proposal included several provisions which attempt to graft Sprint out of certain actions leading up to a would-be acquisition. Sprint has an obvious interest in protecting that investment to every degree possible. The entire text of the letter can be seen in the press release link below. We understand you and the other members of the Clearwire Board of Directors are reviewing the tender offer proposal from DISH Network Corporation. I am writing to discuss the DISH proposal, including its required governance provisions. Your May 30, 2013 release indicates that while the DISH proposal “raises issues”, it appears to be “more actionable” than prior proposals by DISH. DISH has conditioned its tender offer on the execution by Clearwire of an Investor Rights Agreement which would grant DISH specific governance rights. DISH proposes to receive these rights without stockholder approval, and to shift the significant risk that such rights are not enforceable to Clearwire and the non-tendering stockholders (including Sprint). To be clear, certain provisions of the DISH proposal require Sprint’s consent, and other provisions violate Delaware law, Clearwire’s certificate of incorporation, or the rights of the parties to the existing Equityholders’ Agreement (EHA). Sprint will not vote in favor of the proposal, tender its shares in the offer or waive any of its rights as a stockholder or under the EHA. Sprint will enforce its legal and contractual rights. Thus, the DISH proposal is not actionable. The existing Clearwire entity was formed in 2008 through the merger of old Clearwire with Sprint’s 2.5 GHz spectrum assets, in conjunction with the contribution by other investors of an aggregate of $3.2 billion. In connection with the merger, Clearwire, Sprint and the contributing investors entered into the EHA, provisions of which were incorporated into Clearwire’s certificate of incorporation, including a provision that such certificate would be subject to the terms of the EHA for as long as the EHA remained in effect. Such provisions are customary in multi-billion dollar transactions involving transfers of significant investments in spectrum, technology and capital. Clearwire included clear disclosure in the merger proxy regarding the terms of the EHA and their potential impact on Clearwire and its stockholders. Thus every current stockholder of Clearwire has invested, or remained invested, in Clearwire subject to full knowledge of the EHA and the bargained-for rights and obligations of Clearwire, Sprint and the other EHA parties. When the EHA was executed, the parties to it held in excess of 80% of the outstanding voting stock of Clearwire and Sprint held, as it does now, a majority of the outstanding voting stock of Clearwire. Having invested billions I am sure you understand why Sprint is not willing to give up rights that were fundamental to the investment it made. The Investor Rights Agreement obligates Clearwire to “cause” the nominating committee to nominate for election to the Clearwire Board a minimum of three DISH designees. The EHA contains detailed provisions regarding the nomination and election of directors to the Clearwire board, including the provision that any Board seats not reserved under the EHA for designation by the parties to the EHA will be filled by independent directors determined by the nominating committee of the Board. Requiring the nominating committee to nominate certain directors proposed by DISH abrogates the rights of the parties to the EHA. The proposed nomination process also violates Delaware law which provides two legally permissible methods to provide for mandatory nomination of board nominees: the amendment of a corporation’s certificate of incorporation or a voting agreement among a majority of stockholders. DISH, however, proposes the alternative approach of requiring Clearwire to enter into a contract to provide such rights. Delaware law does not permit such an agreement between a corporation and a stockholder. DISH further compounds the illegality with a specific contractual provision that if such rights are found to be unlawful, DISH can then sue Clearwire for specific performance and unlimited monetary damages for failure to provide to DISH rights it was never entitled to in the first place. The agreement to nominate certain directors in perpetuity limits the board's exercise of its fiduciary duties and its ability to manage the business and affairs of the corporation, a violation of a central tenet of Delaware corporate law. The DISH Proposal contemplates that DISH will have a veto over various actions by Clearwire, including (i) amending the Clearwire organizational documents, including the EHA, if it adversely effects DISH, (ii) terminating the EHA or the Clearwire LLC operating agreement, (iii) change of control transaction or asset sales, (iv) related party transactions not otherwise approved by the audit committee, or (v) bankruptcy. Again, DISH is attempting to accomplish by contract with Clearwire what it cannot otherwise accomplish through the legal means contemplated by Delaware law. Unless the provision is contained in the certificate of incorporation, a minority stockholder does not have the right to veto actions of a corporation approved by the board of directors. A board cannot bind itself in a way which effectively limits the powers of the future board. Further, the grant to a minority stockholder of a veto power over matters such as change of control transactions would be a defensive measure which itself runs afoul of Delaware law. If DISH wants these rights it must be put to the vote of all of the stockholders, a vote DISH knows it cannot win.
? DISH and Clearwire cannot seize bargained-for, stockholder approved rights of Sprint, and Sprint has no obligation to give them up. Clearwire’s granting the governance rights required by DISH would effectively require Sprint to give up certain bargained-for rights in clear violation of Delaware law. Where a board of a corporation such as Clearwire with a controlling stockholder takes action to interfere with the rights of the controlling stockholder, it must show a compelling need to do so. In particular, an opportunity for minority stockholders to obtain a premium is not sufficient. Delaware law does not impose on controlling stockholders a duty to engage in self-sacrifice for the benefit of minority stockholders. Sprint’s contribution of its valuable spectrum assets to Clearwire in 2008 was premised on the entry into the EHA and the rights granted thereunder. Clearwire cannot, as DISH suggests, simply take away those rights when convenient to benefit a minority stockholder that finds such bargained-for rights inconvenient or limiting to its desire to extract extra gain. The DISH proposal provides for preemptive rights to issuances of new equity securities equivalent to the rights Sprint and the other EHA parties have under the EHA. This requirement is in plain violation of Delaware law and the certificate of incorporation. DISH’s proposal does not provide for an amendment to the certificate of incorporation and such an amendment would require Sprint's consent as a stockholder and under the EHA, which Sprint will not give. The EHA provides that the consent of each of Sprint and the other EHA Parties is required in connection with any material capital restructuring or reorganization by Clearwire, except for any financing transaction in the ordinary course of business. The DISH financing proposal is not a financing transaction in the ordinary course of business, and therefore Clearwire may not enter into this transaction without the consent of Sprint and the other EHA parties.
? The DISH proposal is a change of control requiring approval of 75% of the Clearwire stockholders and the consent of Comcast Corporation. As a “business combination or other similar transaction involving the Company” which would constitute a Change of Control under the EHA, a 75% vote of Clearwire stockholders will be required if the tender offer would result in DISH owning in excess of the applicable “Specified Percentage” (approximately 25.5%) of Clearwire voting stock. Further, the DISH Proposal requires the approval of Comcast Corporation, as representative of the strategic investor group under the EHA. The EHA requires the consent of the strategic investor group with respect to any business combination or other similar transaction or issuance of capital stock which would result in a “Restricted Entity” (such as DISH, as successor to EchoStar) owning more than the Specified Percentage of Clearwire's stock. DISH has had 5 months to modify its proposal into an actionable transaction. Rather than proposing a workable transaction, DISH waited until the eve of the Clearwire stockholder meeting to again propose the transaction it would like to have while assuming Delaware corporate law, the EHA and Clearwire’s certificate of incorporation did not exist. But the law and bargained for contractual rights, and a valid certificate of incorporation do in fact exist, and they render the DISH Proposal not actionable. 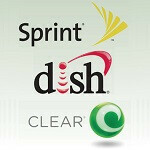 Further, DISH’s proposal attempts to shift the responsibility for breach to Clearwire and its stockholders (Sprint and the other non-tendering holders) with a specific contractual provision that would saddle them with potentially serious economic penalties if Clearwire is unable to provide the illegal rights required by DISH. Thus the proposal would require Sprint to choose to either waive rights to which it is clearly entitled or expose it indirectly to potentially massive damages by enforcing such rights. We are respectful of Clearwire’s governance process and the manner in which the Special Committee has operated to date. The Clearwire board has a duty to all stockholders, including Sprint, and simply cannot in good faith enter into the agreements DISH requests. Under the Clearwire board’s duty of candor to the Clearwire stockholders, we urge you to set forth a clear position of your view on the foregoing issues as soon as possible. Many Clearwire stockholders appear to be under the mistaken belief that DISH’s proposal is a viable alternative to the Sprint merger agreement and this is simply not the case. As we have consistently stated throughout this process, Sprint intends to enforce its legal and contractual rights. While these well-known and bargained-for rights may preclude certain other parties from profiting at Sprint’s expense, we simply are not required, nor will we, waive such rights. Sprint remains committed to the transactions contemplated by our merger agreement and looks forward to consummating a merger with Clearwire in accordance with the terms previously recommended by the Special Committee and approved by the Clearwire Board. In light of the existing situation and the nature of this letter, we will be making appropriate filings containing a copy of this letter. We appreciate your consideration. What did Dish expect Sprint to do? Bend over!? Sprint is laying down the law. F* off Dish. Put that smack down sprint!! Dangerous words, yes they have majority, but at the same time they pretty much told their shareholders "to hell with you". Not a healthy action for a company that is fighting to stay in 3rd. The bottom line is dish kept playing the game and waited to late to propose a last minute deal which should of been proposed long ago. They simply got burned, its a shame because I would love to have seen sprint offer TV service as well.